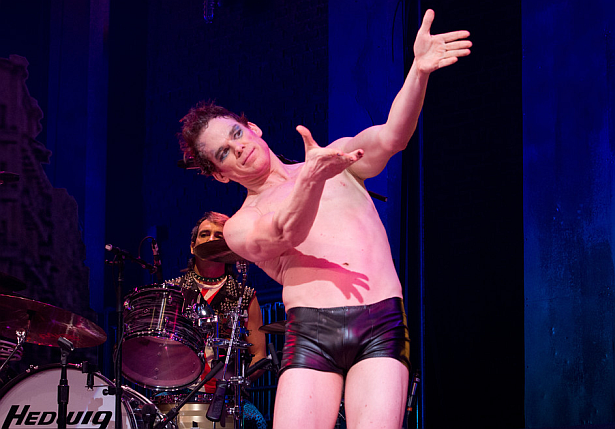 Are you mad because you didn't had a chance to see Michael C. Hall as Hedwig on Broadway? Well, it looks like the universe is giving you a second chance! Michael C. Hall will pull the wig back down from the shelf beginning February 17 when he returns to Hedwig and the Angry Inch. The show’s current headliner, co-creator and original star John Cameron Mitchell, will bow out for one week to recover from his previously reported knee injury. Mitchell is expected to return to the Belasco Theatre on February 24.